This is a cross post from the Sydeny Mechanical Chapter as the topic may be of interest to the Water Panel’s membership. Design of a major seawater reverse osmosis (SWRO) desalination plant poses many challenges to engineers of various disciplines particularly those of process and mechanical backgrounds. These challenges include meeting or exceeding the contracted energy efficiency targets, addressing durability of materials in a seawater environment, ensuring safety of piping and equipment operating at high fluid pressures and design to meet sometime conflicting constructability, operability and maintainability requirements. This presentation will briefly outline the design aspects of pressure driven membranes, energy recovery, material selection for protection against corrosion and piping. The recently completed Sydney Desalination Plant has provided Dennis Cho and Con Sikallos with valuable experiences and insights arising form their involvement for over three years in the bid, design delivery and commissioning phases. Dennis will review the basis of design of a desalination plant and Con will present some of the mechanical challenges. Dennis is a senior process engineer at SKM and has completed his PhD at UNESCO Centre for Membrane Science and Technology at University of NSW. His work is based on over 10 years of engineering experience, largely in the water and wastewater industry. Con has 20 years of experience in the water and wastewater industry and currently holds a senior mechanical engineering position at SKM. He has been involved in many engineering projects from detail design through to commissioning including the Sydney Desalination Plant. 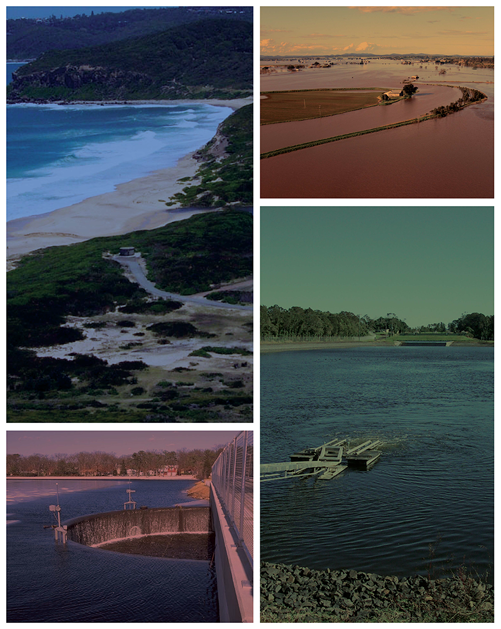 The EA Society of Sustainability and Environmental Engineering is running a seminar titled: “The Water Challenge: Dams, Desalination, and Engineering” on 22nd March 2010 at the EA Auditorium Chatswood. For full details see that attached PDF and the society would appreciate RSVPS.